48 Commercial Real Estate and Properties in Hunter Valley are listed in 9 categories. We have 106 Industrial Warehouses for Lease , 81 Offices for Lease , 81 Retail Shops for Lease , 21 Showrooms for Lease , 9 Medical and Consulting Properties for Lease and 6 Other Commercial Properties for Lease . Located in the heart of Thornton's Industrial Estate, this 132m2 unit offers a main warehouse with mezzanine office and kitchenette. 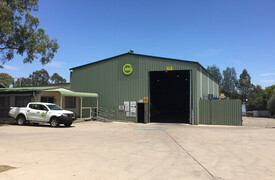 Positioned only a 30 minute drive to Newcastle’s CBD and only a 2 hour drive to Sydney CBD, this building is perfect for anyone looking for more storage or wanting to grow their small business. • Off street parking • Full height roller door • Toilet facilities • Kitchenette • Surrounded by numerous businesses Contact our team today for more information! 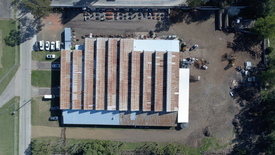 For Lease - Warehouse And Compound $50,000 per annum + GST +.. Factory warehouse full concrete construction. Prominent front position, Only 1 hour north Sydney. Approx. 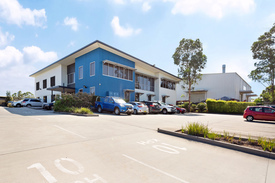 Area: 200m² ground area and 40m² mezzanine Toilet, shower, kitchenette, container sized roller doors Ample onsite vehicle access Lease $490 per week + GST and outgoings. Disclaimer: Every precaution has been taken to establish accuracy of the above information but does not constitute any representation by the owner or agent. Information is gathered from sources we believe to be reliable; we cannot guarantee its accuracy and interested persons should rely on their own enquires. This is how the property was presented prior to existing tenant. Positioned in the well known and highly regarded Beresfield Business Park, the estate is approximately 20 minutes to Newcastle, 1.5hrs to Sydney and less than 1hr to the Hunter Valley coal mining regions. 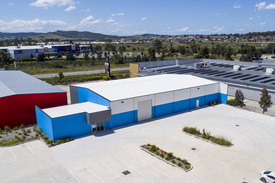 Beresfield Business Park is easily accessible via the New England Highway and the M1 Pacific Motorway. • 567m2 floor area • Mezzanine level built in • 22 on site car spaces • 3 x 6m wide roller doors • Modern office layout • Level site • Full amenities This property won't last long and is a must to inspect. Zoned Retail Bulky Goods Major arterial traffic flow Ground Space 144 sqm, (approx) Full pre cast concrete secure construction Full glass shop front High roller factory door North facing aspect, cool breeze, warm winter sun Golden opportunity to upgrade your business in strong growth area. Disclaimer: Every precaution has been taken to establish accuracy of the above information but does not constitute any representation by the owner or agent. Information is gathered from sources we believe to be reliable; we cannot guarantee its accuracy and interested persons should rely on their own enquiries. Industrial Warehouse And Offices $52,000 per annum + Outgo..
For Lease - Industrial Warehouse And Office Complex $70,000 per annum + GST +..
Industrial/ Commercial Unit For Lease $20,000 per annum + GST +.. 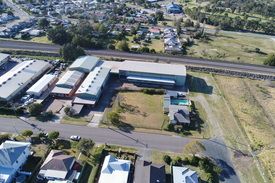 Located in the very popular George Rd industrial area of Salamander Bay is this prime business site. With a level, fully fenced block of over 1300 sq/m the possibilities are endless. A 200 sq/m, high ceiling shed only adds to the appeal. This site would suit a wide range of businesses, be sure to inspect. Get in early and secure your business' future needs with this rare opportunity in Green Hills. Construction is to commence soon, with the opportunity to design the internal layout to suit your needs and the potential to lease part or the whole building. • Modern concrete panel construction • Plenty of natural light • Flexible floor plan • High profile location • 16 onsite parking spaces • 654m2 building area approximately • Suitable for numerous uses (STCA) Plans available on request . 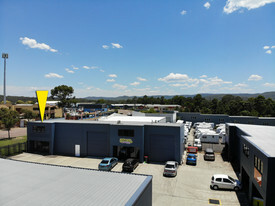 21 Melbourne Street provides a versatile warehousing opportunity for a business seeking great exposure. 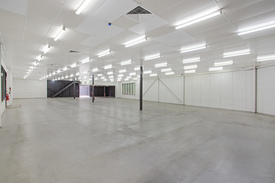 The unit is accessible via a wide central driveway and container height roller doors. At the front of the property, there is a two story office and amenities area that benefits from an abundance of natural light. Staff and visitors will find designated parking directly outside the unit. • Large warehouse with offices • Rear hardstand area • Clear span warehouse • Container height roller doors • Great exposure • Full amenities • On site parking • Air conditioning Situated on Melbourne Street, within close proximity to all major business hubs and transportation routes... .